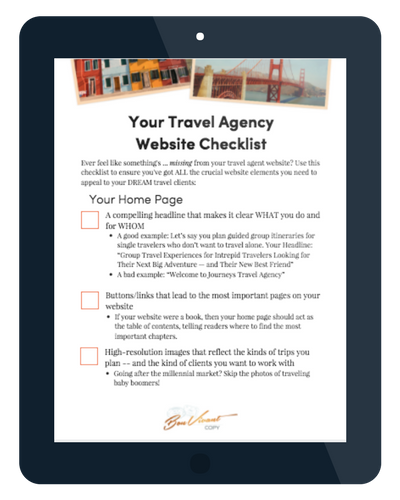 Writing your travel agent website can be daunting. (Which is why so many travel pros put it off for months, or even years!). It’s hard not to get overwhelmed when you think about all the pages you can add to your site—pages for different destinations, sample itineraries, insider tips, FAQs, etc. … then take a deep breath. Because there really are only a handful of pages you NEED on your website. 2) help them find what they’re looking for. For #1, you need to make it immediately clear who you serve, and how. If someone lands on your site thinking you plan honeymoons but they only see information about Hawaii, they’re going to “x” out! For #2, it helps to think of your home page as the table of contents in a book. Make it easy for your visitor to skim and figure out where they want to go next. Speaking of About Pages … after your Home Page, this is probably the most visited page on your website. People want to know about the real, live person behind the travel brand! Remember, though, that your website is about your prospects, not you. In your bio, you’ll want to highlight anecdotes that will resonate with your ideal client, and leave out anything extraneous. For example, if you’re a family travel specialist, definitely mention how travel helps bring your own family closer together! This page goes by a lot of different names, like “Work With Us” or “Our Process.” Whatever you call it, you need it, because this is where you show web visitors what it’s really like to work with you — and it’s where you sell them on your value. What makes your travel agency special or different? How do you go above and beyond to serve your clients? You’ll answer these kinds of questions on your Services Page. Regularly updating your blog is good for SEO, and it also provides a place where you can go deep into your specialties or highlight particular destinations. 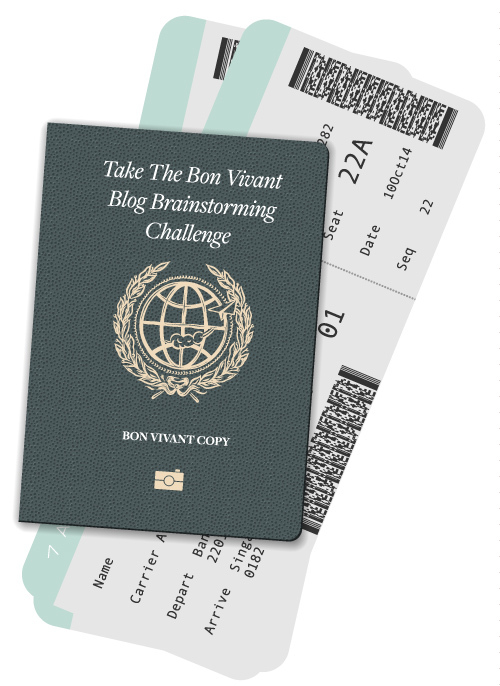 Think of your blog as the place web visitors can get more travel inspiration from you. Now, I mentioned “regularly updated” for a reason — if you have a blog but it hasn’t been updated for months, that’ll turn visitors off. They may question how on the ball you are. A Contact Page is so short that it’s often overlooked. But this is where conversions happen. Where your web visitors turn into real leads. It’s important! Make sure your Contact Page is easy to find. I often see contact forms only on the bottom of travel agent websites — that’s hard to find! The last thing you want to do is make a prospect work hard to reach out to you, so think carefully about how you can get rid of any friction on your website when it comes to getting in touch.